Welcome to my still progressing Web pages. This one was last updated on August 15, 2016.
Who Is Robert Campbell, anyway? I'm a Professor in the Psychology Department at Clemson University. I've been here since the summer of 1991; before that, I spent five and a half years at the IBM Research Division in Hawthorne, New York. At IBM I was a Human Factors specialist; at Clemson I specialize—if that is the right word—in Developmental and Cognitive Psychology. My interests include theoretical psychology of various stripes, developmental psychology, and cognitive psychology. I've written about the development of mathematical reasoning in children, the development of expertise in adults, and the development of moral values across the life-span--you can find more on these and other endeavors in my vita. In my less mundane existence, I'm a retired jazz critic (I wrote reviews for Cadence magazine from 1992 to 1998). I have done a good deal of research on the life and music of Herman Poole Blount (better known to the world as Sun Ra). The first edition of my discography, The Earthly Recordings of Sun Ra, was published by Cadence Jazz Books in 1994. The second edition (co-authored with British Ra expert Chris Trent) came out in 2000. If you have information about released or unreleased recordings of Sun Ra and his Arkestra, please contact me by email, campber@clemson.edu. A project that I have been involved with since 1996 grew out of an attempt to understand the strange and highly fruitful environment in which Sun Ra grew to artistic maturity. 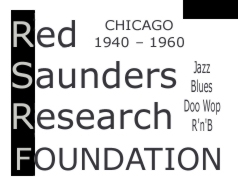 I have been gathering information on the many neglected musicians in Chicago during the two decades after World War II, especially those who worked on the boundaries between jazz and blues, or jazz and R&B... or jazz and rock-and-roll. In this research, I have the good fortune to work with knowledgeable and generous collaborators like Armin Büttner, Leonard J. Bukowski, Bill Daniels, the late Otto Flückiger, Ferdie Gonzalez, Dani Gugolz, John Holley, Dan Kochakian, Tom Kelly, Big Joe Louis, Konrad Nowakowski, the late George Paulus, Victor Pearlin, Bob Porter, Robert Pruter, Bill Sabis, Yves François Smierciak, Dr. Robert Stallworth, Helge Thygesen, Billy Vera, George R. White, and Art Zimmerman. Check out the Red Saunders Research Foundation page for more about this effort. We have compiled discographies of such figures as Buster Bennett, the Dozier Boys, the Four Blazes, King Kolax, Red Saunders, Sax Mallard, Tom Archia, Jimmy Coe, Tommy Dean, King Fleming, Eddie Johnson, Willie Jones, Claude McLin, the early Sun Ra, and Al Smith, and of such labels as Aristocrat, Boxer, Chess, Chance, Club 51, Cobra, Cool, Drexel, Gold Seal, Hy-Tone, Miracle/Sunrise, Premium, Jazz Ltd., JOB, Mad/M&M, Marvel/Planet, Old Swing-Master, Opera, OraNelle, Parkway, Parrot/Blue Lake, Ping, Rhumboogie, Rondo, S D, Session, Seymour, Sonora, Sultan, Sunbeam, Tempo-Tone, Theron, United/States, Vee-Jay, and Vitacoustic. Objectivism is a neo-Aristotelian philosophy developed by the novelist Ayn Rand. Many of Rand's ideas have influenced my work. In her later years, Rand called the philosophy elaborated by herself and by two of her leading disciples Objectivism. I have quit using the Objectivist label, because I do not accept this incomplete philosophical system as a total package—and Rand, loudly seconded today by those who would rather worship her than think critically about her ideas, insisted that her philosophy be accepted or rejected as a total package. Those with a scholarly interest in Ayn Rand and Objectivism should become familiar with the Journal of Ayn Rand Studies, founded by the late R. W. Bradford, and edited by Stephen Cox, Roderick Long, Chris Matthew Sciabarra, and myself. Click here for the Clemson University Home Page. 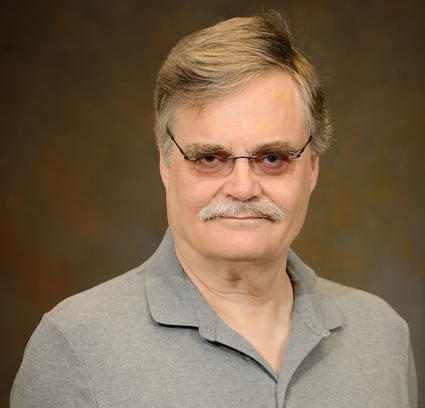 Click here for the Clemson Psychology Department Page.